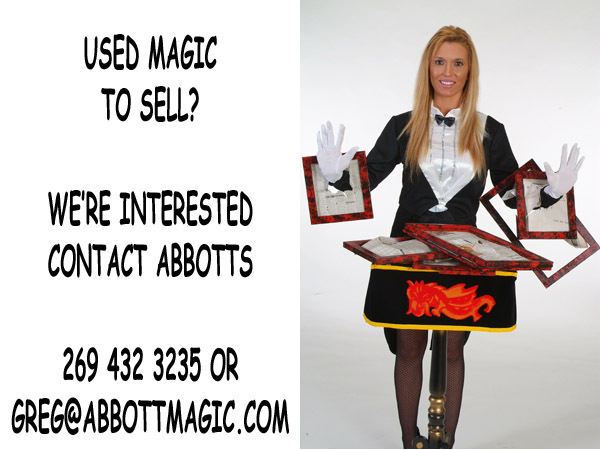 A great illusion for any type of magic show, regardless of its size. The effect and the routine are exact in every detail as supplied by Percy Abbott to the Harry Thurston show. A girl is put into a cloth bag and in this condition is placed into the chest. The tied end of the sack is pulled through a hole in the top (removable) section of the chest, all of which is out of sight when the lid is closed. Chest is turned completely around showing all sides. The bag is pulled through the hole in the top section with the magician saying that the girl has vanished (without showing the inside of the chest.). Naturally the audience will howl. This sucker gag is played up with several gags and bits of business. Eventually, the magician opens the chest showing the inside absolutely empty. The chest is turned around so that all sides may be seen. The girl has vanished! Its a sure-fire effect and one that will get them talking. No mirrors are used. No tip-over method. 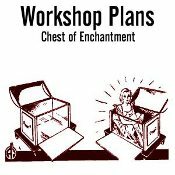 The Chest of Enchantment may also be used for the production of a girl.